Greenfx is a registered brand of DS Supplies since 2011. This range consists of an extensive range of outdoors products such as Artificial grass, Artificial Hedges, Artificial Flowers & Topiary. 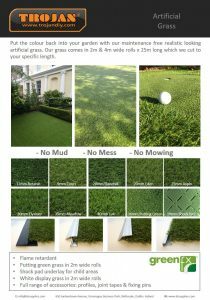 The GreenfxArtificial Grass is available in various roll sizes and yarn heights to suit many applications from DIY to landscaping. The grass is very realistic, especially the multi-colour grass blades which resemble our natural rye grass. This range also has drain holes to allow the rainwater to escape. 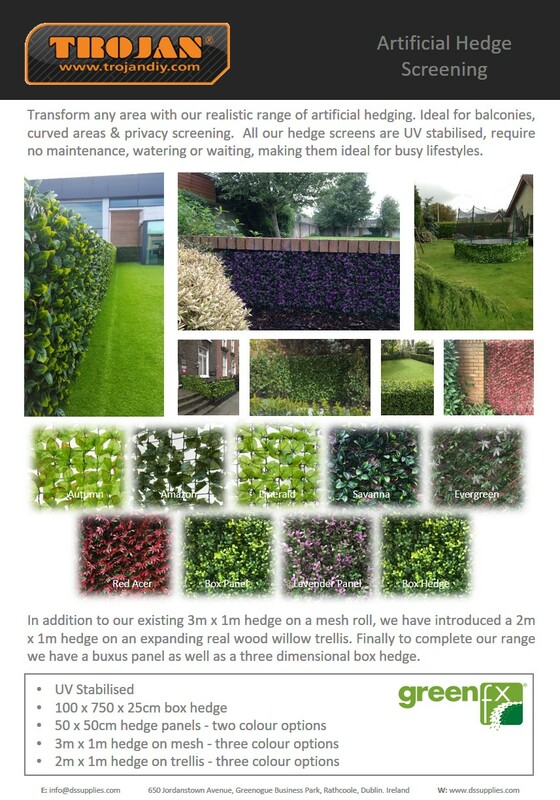 Greenfx is a one stop shop for all indoor & outdoor artificial products and display units are available to suit along with appropriate packaging containing features & benefits of the product ranges.